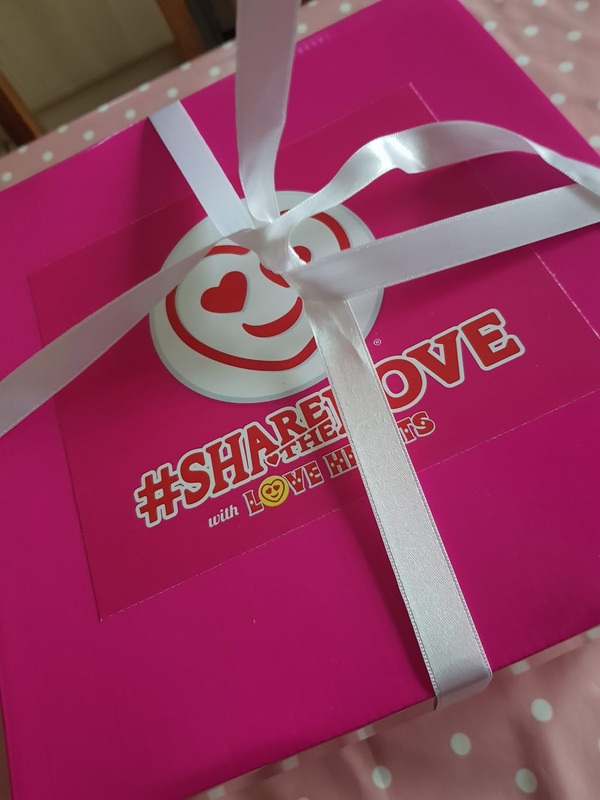 Blogging Beautifully: #ShareTheLove with Love Hearts this Valentine's! It's nearly Valentine's Day, Ooooo feel the love! 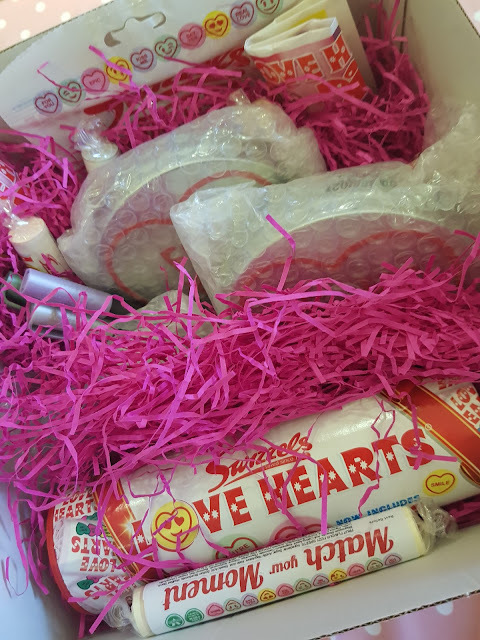 We have been feeling the love with the iconic Swizzels Love Hearts, you know the ones, the deliciously moreish candy sweets with the adorable printed messages written on them. I have such fond school memories of sharing a pack with my girlfriends at break time each picking the appropriate describing word for each other and having a right giggle at our choices. It feels so long ago! 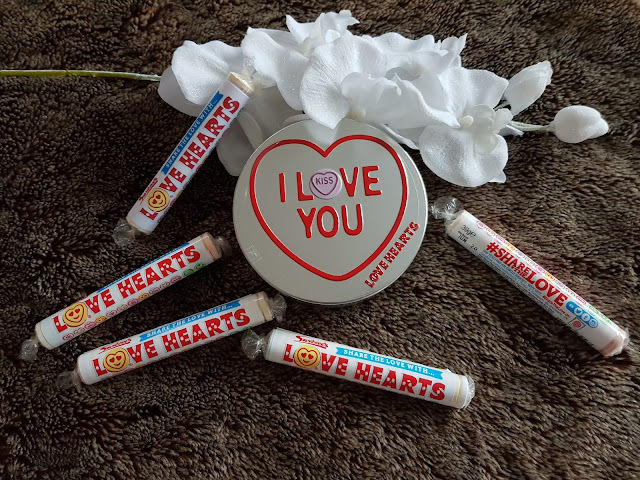 Did you know Love Hearts were first produced in 1954, these legendary sweets are over 60 years old and still going strong, evolving with the years as things change. I still remember seeing messages with 'page me' and 'fax me' on them! Crazy! These days you can find messages like 'you're cool' and 'love you', amongst a ton of other messages as well as emojis which have just recently been added to collection. 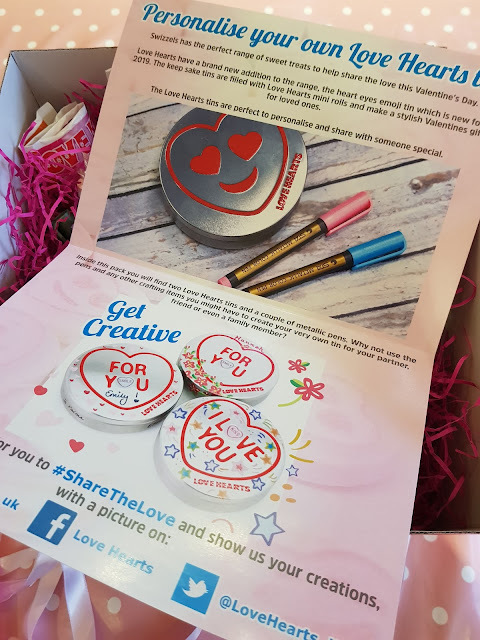 We were recently sent a box of Love Heart goodies from Swizzels ready for Valentine's and included within in the box were a whole ton of Love Hearts and some fabulous little silver emoji tins that we could personalise (the tins retail for around £2.99 and contain little tubes of Love Hearts). The recently launched emoji Love Hearts are a great addition to the already fab collection. 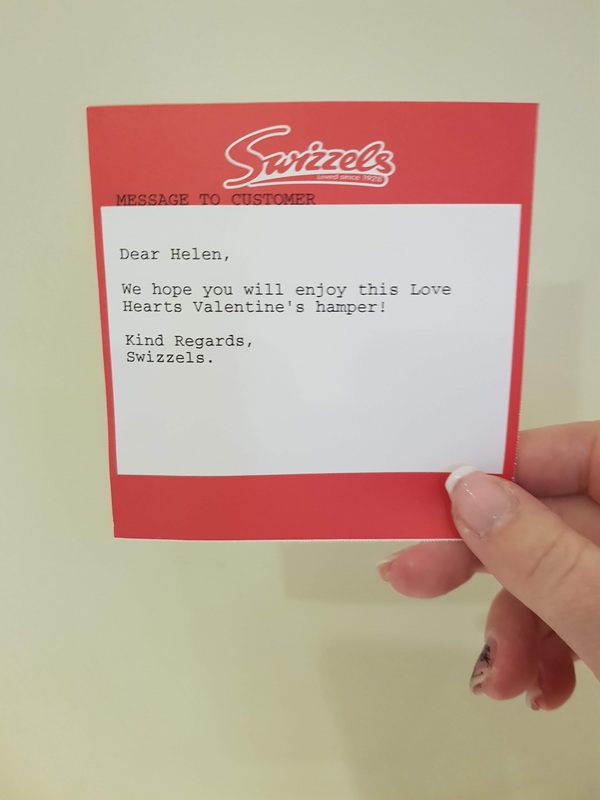 Over on the Swizzels website you can have a bit of fun with the Love Hearts messages and enter #MatchYourMoment by simply entering a picture that matches one of the Love Hearts, i.e 'kiss' could be a kissing photo, ' forever' could be a picture of your love or 'happy' could be anything you want to be, you get the picture. There are lots of prizes up for grabs so please take a look. 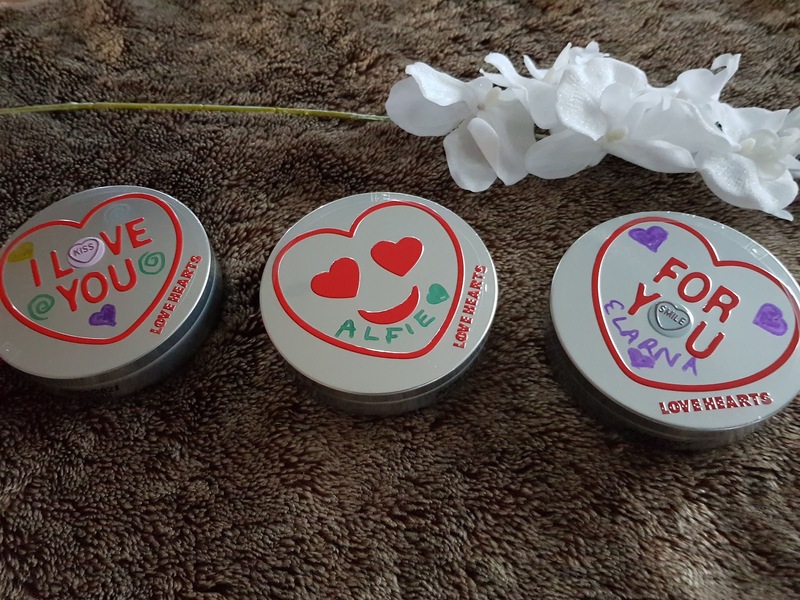 I decorated the tins ready to surprise the children....I may have hidden some of the sweeties for me also....mwahaha!! I love the mini tubes as they are perfect for popping in my bag and using as a little bribery treat.....yes i am that kind of Mum! Shame on me! 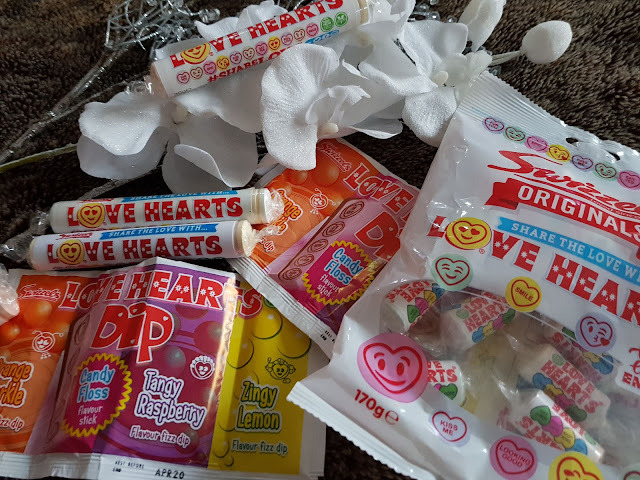 These iconic sweets are sure to pleasing many people for years to come and keeping the love going. 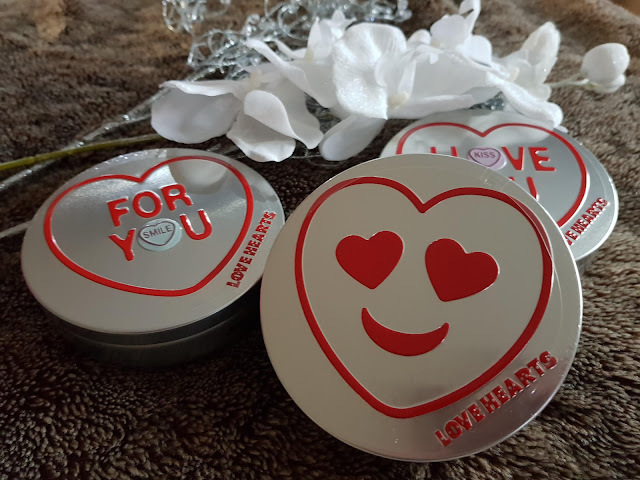 If you fancy treating someone to a little Valentine's treat then Love Hearts are available from pretty much every top retailer! There is also a load of related stuff online at the Swizzels website, from wedding favours to personalised tubes there will be something suitable I'm sure! * Please note we were kindly sent the hamper in exchange for a blog post, all thoughts and images are my own.